This car is a 1999 Subaru Outback, just one in a long line of fascinating family wagons with a surprising performance edge that Subaru has been making since the 1970s. It brings reliability, comfort and enigmatic levels of performance in a practical body with solid construction. Like most Subarus, this car sports a horizontally-opposed (or ‘boxer’) four cylinder, which is a close relative of the engine in the 1990’s WRC hero, the Impreza WRX. You can tell that it is a relative of the hot-shoe Impreza by how it sounds- the 2.5 litre engine has a distinct rattle, which it then settles into the traditional offbeat burble that accompanies boxers. Because of its relationship to the motor found in the WRX, it has an eagerness to rev; accompanied with an angry, metallic roar which grows as the revs rise. The enthusiastic character of the engine is no doubt helped by the prodigious torque curve, capable of moving the car away from the lights with as little as 1500rpm! 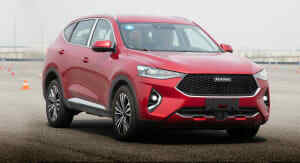 The fizzy character of the engine is helped by the fact that, unlike most Outbacks of this age, I have to row my own; This connects the 125KW of power and 226Nm of torque to the road through a five-speed manual. For what is ostensibly in is no way a performance motor the durability is phenomenal- aside from the occasional fluid change, it’s run for 16 years and 335,000 (mostly) trouble free kilometres. But, like most things, the engine isn’t perfect; Boxer engines by their free-revving nature are big drinkers. 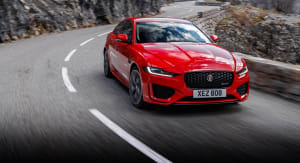 This doesn’t help when it’s plugged into a heavy wagon body running an AWD system- when the engine is pushed it has a large thirst for petrol, returning only roughly 420km from a 55-litre tank. 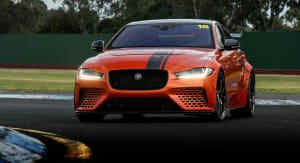 Another aspect of this car that I like is the design. I admit that it’s no Ferrari in the design stakes, but I think it is relatively pleasant to look at. 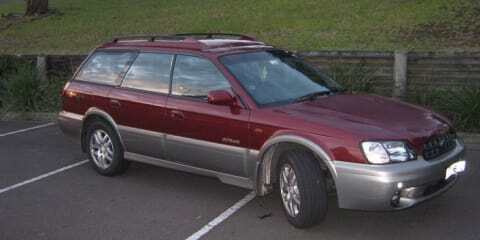 The body shows that the designers gave serious thought to form following function- as the Outback helps to show Subaru’s heritage as an aircraft manufacturer by using frameless glass reminiscent of an aircraft’s cockpit- this unique touch helps visibility somewhat, but it is hampered by the high waisted design of the doors. 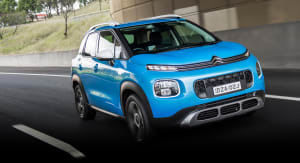 The body itself has an ‘outdoorsy’ quality to it, with the roof racks, two tone paint and fog lights suggesting a desire to go exploring, while still being differently stylish enough to stand out on its own. The blend of practicality and style continues inside, with wood trim and fluffy, well bolstered cloth seats neatly coexisting with clear, easy to read instruments and large buttons. The downside of the interior, aside from the visibility woes, is that although the quality of the materials hold up to kids growing up in it and the Australian climate, the dashboard does seem bland in its design, while the plastic trim can feel rather cheap to the touch. Probably the most surprising attribute of this car is the way it handles- you’d never expect a family bus to actually handle…but it does! 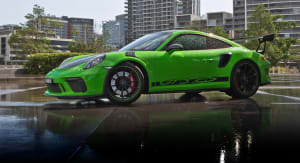 It accomplishes this feat by its engine- the boxer engine helps lower the height of the engine for excellent balance, while being aided by the suspension set up itself and the AWD system. The suspension is MacPherson struts up front, and a multi-link setup on the rear- this gives the car a nice square stance, but also manages to not only be comfortable, with long suspension travel, but the AWD system helps to keep the car painted to the road in the wet- while helping the car throw itself into corners in dry weather. Not to look at the drive through rose-coloured glasses; its steering is probably its biggest Achilles heel, offering very little in the way of feedback and a noticeable dead zone. 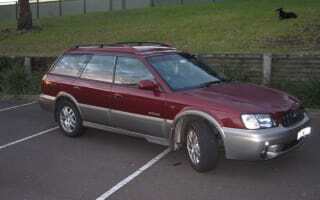 This 1999 Subaru Outback has been in my family since it was new, and has been exceptional in terms of its reliability. However, when things have broken, they have been very expensive (I had 5th gear replaced- the parts and labour was $800!!!). Despite the problems, mostly related to age and mileage (335,000km and counting! ), the car has been an entertaining and faithful companion for a very long time. If you’re looking for a car that is practical, reliable and a little bit quirky while being more entertaining than it looks, here’s your car.